Monday Night Talk hosts a political forum for Plymouth County Commissioner that was held Monday, October 31 featuring incumbents Dan Pallotta and Greg Hanley and Democratic challenger Lincoln Heineman who participated in the 45-minute forum. The event was moderated by WATD’s managing news editor Christine James, who also poses questions with Monday Night Talk host Kevin Tocci and WATD reporter Charles Mathewson. Do you have a topic for a future show or info on an upcoming community event? Email us at mondaynighttalk@gmail.com or "like" and post a comment on our Facebook page: www.facebook.com/mondaynighttalkon959fmwatd. If you're a fan of the show and enjoy our segments, you can either download your favorite segment from this site or subscribe to our podcasts through iTunes today! © Monday Night Talk with Kevin Tocci - 2016. Unauthorized use and/or duplication of this material without express and written permission from the show host and/or owner is strictly prohibited. Plymouth County Commissioner candidates left to right: Greg Hanley, Lincoln Heineman and Dan Pallotta. Monday Night Talk hosts a political forum for the Massachusetts 9th Congressional seat that was held Monday, October 31 featuring US Rep Bill Keating, Republican challenger Mark Alliegro along with independent candidates Anna Grace Raduc, Chris Cataldo and Paul Harrington participating in the 65-minute forum. The event was moderated by WATD’s managing news editor Christine James, who also poses questions with Monday Night Talk host Kevin Tocci and WATD reporter Charles Mathewson. Do you have a topic for a future show or info on an upcoming community event? Email us at mondaynighttalk@gmail.com or "like" and post a comment on our Facebook page: www.facebook.com/mondaynighttalkon959fmwatd. If you're a fan of the show and enjoy our segments, you can either download your favorite segment from this site or subscribe to our podcasts through iTunes today! © Monday Night Talk with Kevin Tocci - 2016. Unauthorized use and/or duplication of this material without express and written permission from the show host and/or owner is strictly prohibited. 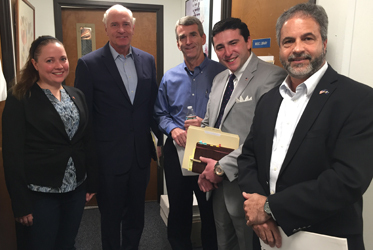 Candidates from left to right: Anna Grace Raduc, US Representative Bill Keating, Paul Harrington, Chris Cataldo and Mark Alliegro. 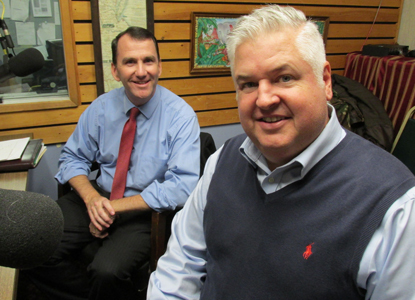 Monday Night Talk hosts a political forum for the 4th Plymouth District State Representative's seat that was held Monday, October 24 featuring State Rep Jim Cantwell and Republican challenger Mike White. The event was moderated by WATD’s managing news editor Christine James, who also poses questions with MNT host Kevin Tocci and WATD reporter Charles Mathewson. Do you have a topic for a future show or info on an upcoming community event? Email us at mondaynighttalk@gmail.com or "like" and post a comment on our Facebook page: www.facebook.com/mondaynighttalkon959fmwatd. If you're a fan of the show and enjoy our segments, you can either download your favorite segment from this site or subscribe to our podcasts through iTunes today! © Monday Night Talk with Kevin Tocci - 2016. Unauthorized use and/or duplication of this material without express and written permission from the show host and/or owner is strictly prohibited. 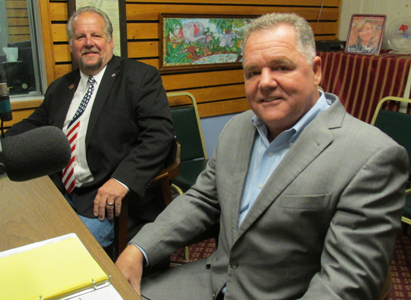 Monday Night Talk hosts a political forum for Plymouth County Sheriff that was held Monday, October 24 featuring incumbent Sheriff Joe McDonald Jr. and Democratic challenger Scott Vecchi. The event was moderated by WATD’s managing news editor Christine James, who also poses questions with MNT host Kevin Tocci and WATD reporter Charles Mathewson. Do you have a topic for a future show or info on an upcoming community event? Email us at mondaynighttalk@gmail.com or "like" and post a comment on our Facebook page: www.facebook.com/mondaynighttalkon959fmwatd. If you're a fan of the show and enjoy our segments, you can either download your favorite segment from this site or subscribe to our podcasts through iTunes today! © Monday Night Talk with Kevin Tocci - 2016. Unauthorized use and/or duplication of this material without express and written permission from the show host and/or owner is strictly prohibited. 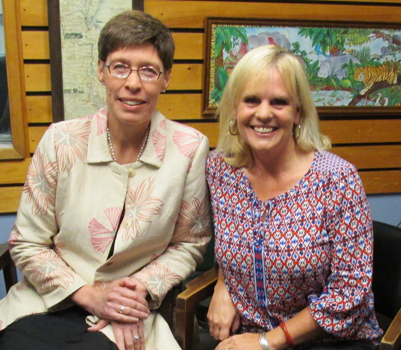 Monday Night Talk hosts a political forum for the 3rd Plymouth District State Representative's seat that was held Monday, October 17 featuring Republican candidate Kristen Arute and Democratic challenger Joan Meschino. The event was moderated by WATD’s managing news editor Christine James, who also poses questions with MNT host Kevin Tocci and WATD reporter Charles Mathewson. Do you have a topic for a future show or info on an upcoming community event? Email us at mondaynighttalk@gmail.com or "like" and post a comment on our Facebook page: www.facebook.com/mondaynighttalkon959fmwatd. If you're a fan of the show and enjoy our segments, you can either download your favorite segment from this site or subscribe to our podcasts through iTunes today! © Monday Night Talk with Kevin Tocci - 2016. Unauthorized use and/or duplication of this material without express and written permission from the show host and/or owner is strictly prohibited. 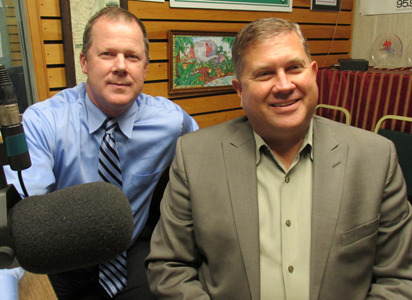 Monday Night Talk hosts a political forum for the 12th Plymouth District State Representative's seat that was held Monday, October 17 featuring Republican challenger Peter Boncek and State Rep Tom Calter. The event was moderated by WATD’s managing news editor Christine James, who also poses questions with MNT host Kevin Tocci and WATD reporter Charles Mathewson. Do you have a topic for a future show or info on an upcoming community event? Email us at mondaynighttalk@gmail.com or "like" and post a comment on our Facebook page: www.facebook.com/mondaynighttalkon959fmwatd. If you're a fan of the show and enjoy our segments, you can either download your favorite segment from this site or subscribe to our podcasts through iTunes today! © Monday Night Talk with Kevin Tocci - 2016. Unauthorized use and/or duplication of this material without express and written permission from the show host and/or owner is strictly prohibited. 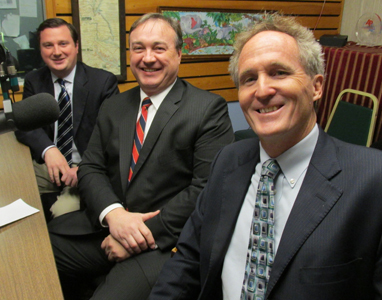 Monday Night Talk hosts a political forum for the Plymouth Norfolk State Senate seat that was held Monday, October 10 featuring State Senator Patrick O'Connor, Democratic challenger Paul Gannon and Independent candidate Stephen Gill. The event was moderated by WATD’s managing news editor Christine James, who also poses questions with MNT host Kevin Tocci and WATD reporter Charles Mathewson. Do you have a topic for a future show or info on an upcoming community event? Email us at mondaynighttalk@gmail.com or "like" and post a comment on our Facebook page: www.facebook.com/mondaynighttalkon959fmwatd. If you're a fan of the show and enjoy our segments, you can either download your favorite segment from this site or subscribe to our podcasts through iTunes today! © Monday Night Talk with Kevin Tocci - 2016. Unauthorized use and/or duplication of this material without express and written permission from the show host and/or owner is strictly prohibited. 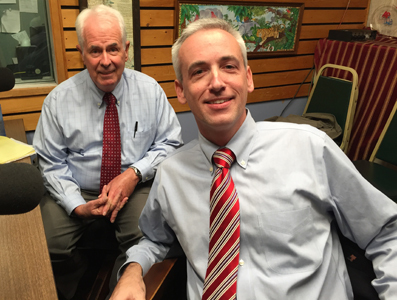 Monday Night Talk hosts a political forum for the 1st Plymouth District State Representative's seat that was held Monday, October 10 featuring Democratic challenger John Mahoney and State Rep Matt Muratore. The event was moderated by WATD’s managing news editor Christine James, who also poses questions with MNT host Kevin Tocci and WATD reporter Charles Mathewson. Do you have a topic for a future show or info on an upcoming community event? Email us at mondaynighttalk@gmail.com or "like" and post a comment on our Facebook page: www.facebook.com/mondaynighttalkon959fmwatd. If you're a fan of the show and enjoy our segments, you can either download your favorite segment from this site or subscribe to our podcasts through iTunes today! © Monday Night Talk with Kevin Tocci - 2016. Unauthorized use and/or duplication of this material without express and written permission from the show host and/or owner is strictly prohibited. 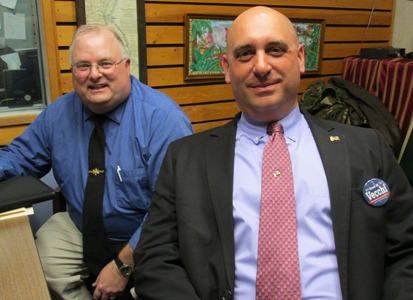 Monday Night Talk hosts a political forum for the 6th Plymouth District State Representative's seat that was held Monday, October 3 featuring Republican challenger Vince Cogliano and State Rep Josh Cutler. The event was moderated by WATD’s managing news editor Christine James, who also poses questions with MNT host Kevin Tocci and WATD reporter Charles Mathewson. Do you have a topic for a future show or info on an upcoming community event? Email us at mondaynighttalk@gmail.com or "like" and post a comment on our Facebook page: www.facebook.com/mondaynighttalkon959fmwatd. If you're a fan of the show and enjoy our segments, you can either download your favorite segment from this site or subscribe to our podcasts through iTunes today! © Monday Night Talk with Kevin Tocci - 2016. Unauthorized use and/or duplication of this material without express and written permission from the show host and/or owner is strictly prohibited. 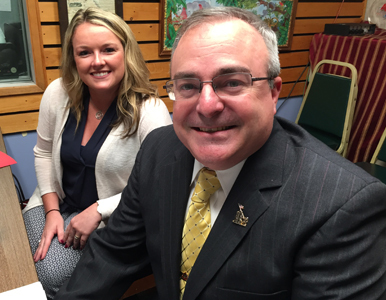 Monday Night Talk hosts a political forum for the 5th Plymouth District State Representative's seat that was held Monday, October 3 featuring Democrat Kara Nyman and Republican State Rep Dave DeCoste. The event was moderated by WATD’s managing news editor Christine James, who also poses questions with MNT host Kevin Tocci and WATD reporter Charles Mathewson. Do you have a topic for a future show or info on an upcoming community event? Email us at mondaynighttalk@gmail.com or "like" and post a comment on our Facebook page: www.facebook.com/mondaynighttalkon959fmwatd. If you're a fan of the show and enjoy our segments, you can either download your favorite segment from this site or subscribe to our podcasts through iTunes today! © Monday Night Talk with Kevin Tocci - 2016. Unauthorized use and/or duplication of this material without express and written permission from the show host and/or owner is strictly prohibited.